With over 30 years of professional practice, Cynthia M. Karegeannes, RA, NCARB, brings to each project a broad range of experience in the Architecture, Design and Construction industry. 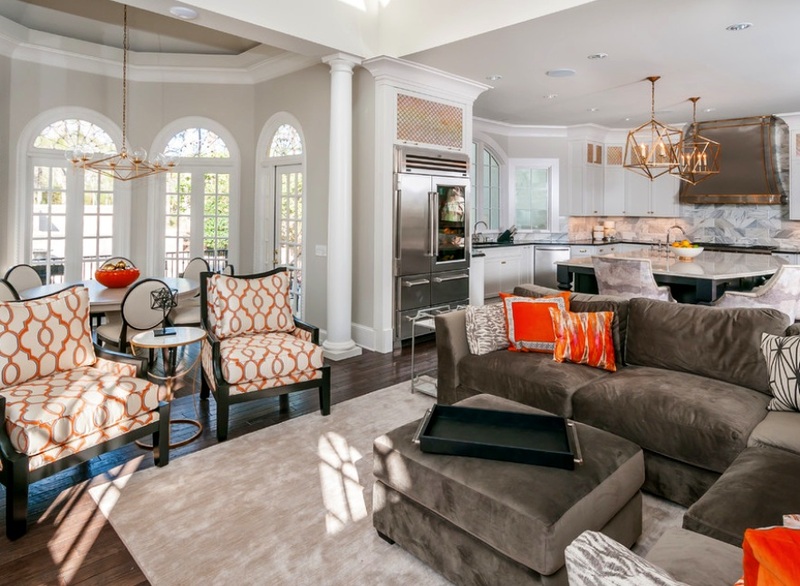 Cynthia enjoys getting to know each client in order to creatively visualize the appropriate architectural solution for the individual or group’s needs and desires. Each project is unique, just as each client is unique. 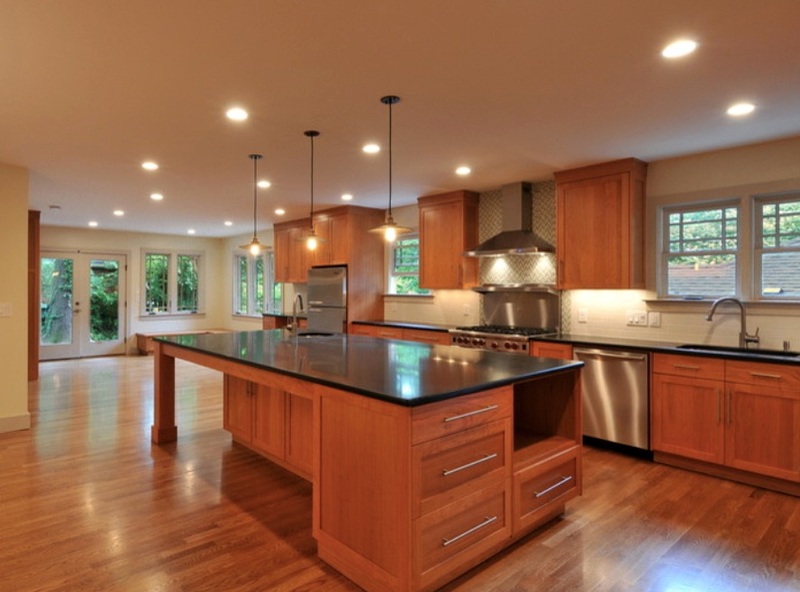 Updates and renovations to this kitchen included widening the space, replacing windows, flooring, cabinets, countertops, backsplash, appliances, and re-configuring the openings between the kitchen and other spaces in the home. 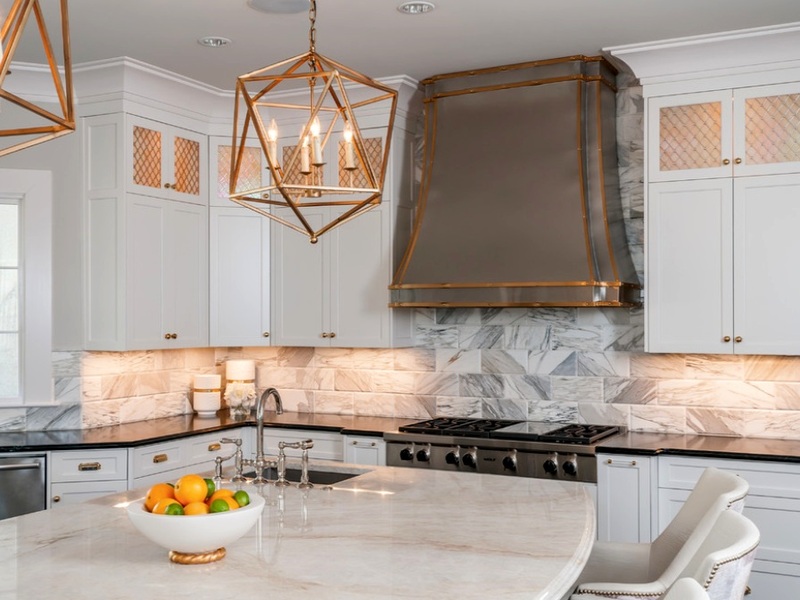 Special details include the custom vent hood, custom cabinets, special glass and brass grids in upper cabinets, lighting, and hardware. A farmhouse gets a second life with a new, modern take. 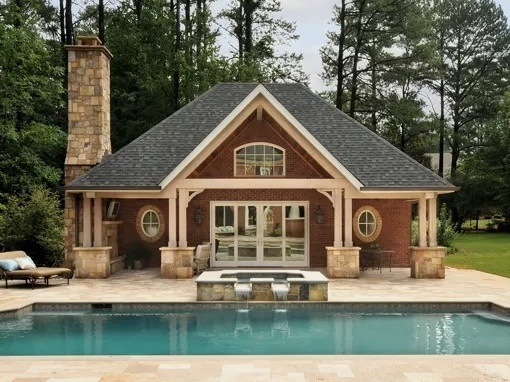 With additions and complete renovations, this home now truly reflects it's Farmhouse styling. The office and the new kitchen addition both have sweeping views of the River. In order to connect the original house to the detached garage, a new "friends and family" entry was built. This space serves as the connection to the garage, and includes the new guest suite above the garage which has a bunk room, full bathroom and family room space. The original house was a very small one story home with three bedrooms, two small bathrooms, a kitchen and living room. 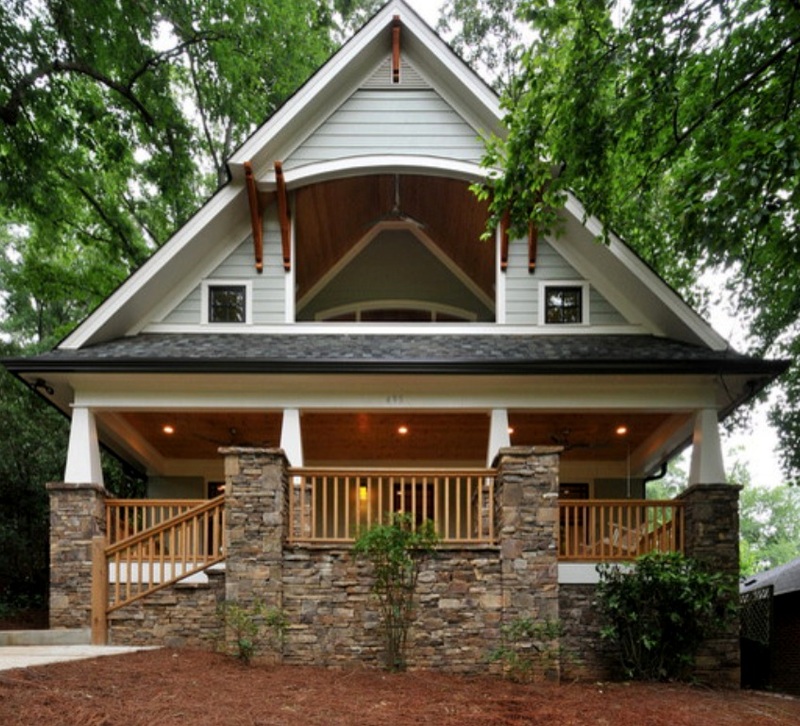 The front view from the property looks directly onto the beautiful Candler park playground and golf course in Atlanta, Georgia. 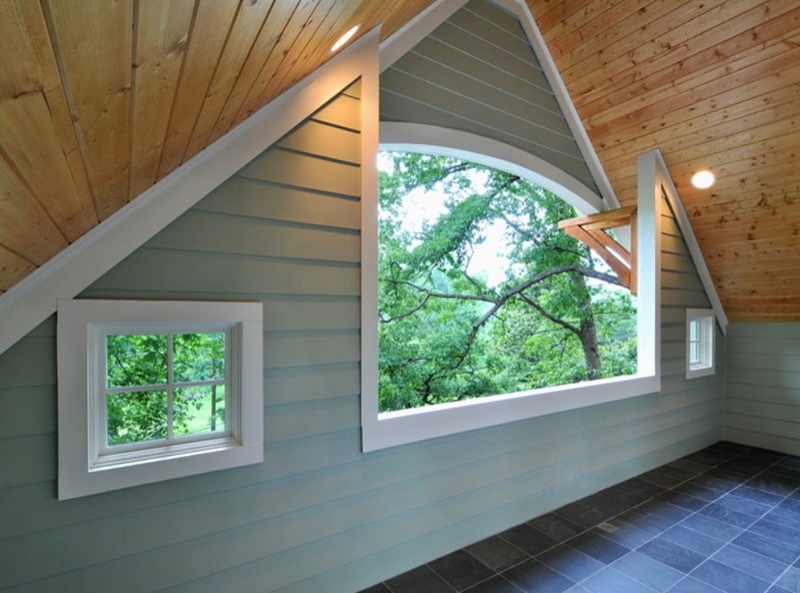 The homeowners wanted the new second story Master suite to include a porch viewing toward the park. 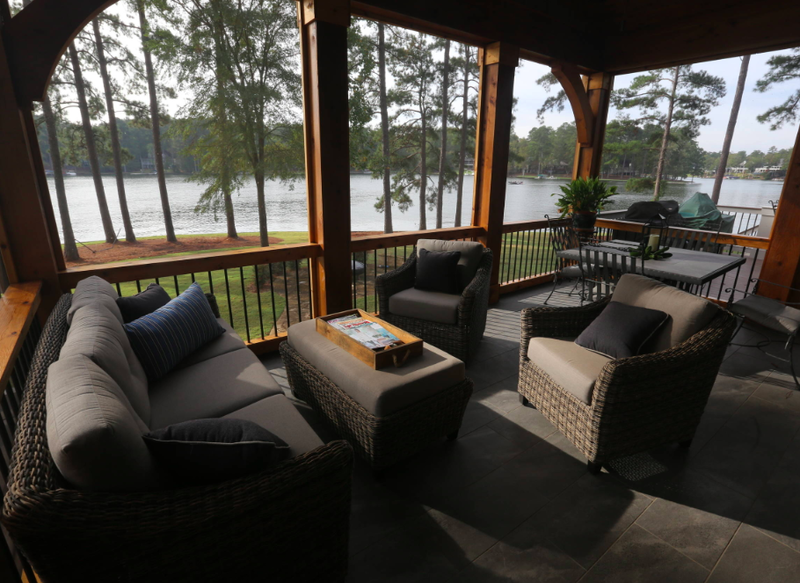 This along with the new main level front porch added two new "outdoor rooms" . The entire house now has 4 bedrooms and 3.5 bathrooms, a new gourmet kitchen, study, family room, living room and laundry room. This renovation of the master suite included moving walls, new windows, fixtures, cabinets and classic marble tile and countertops. 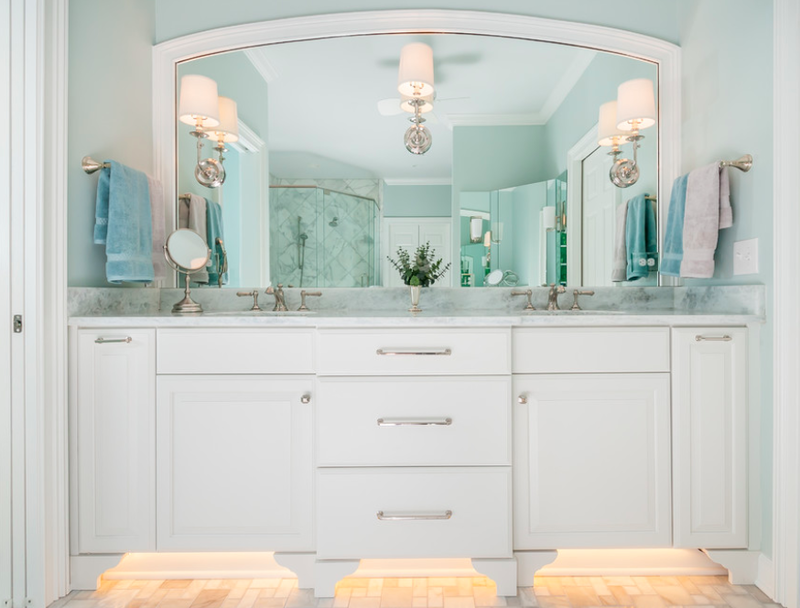 A coat of pale blue paint, lux lighting, and hardware help to create an airy, spa like space. 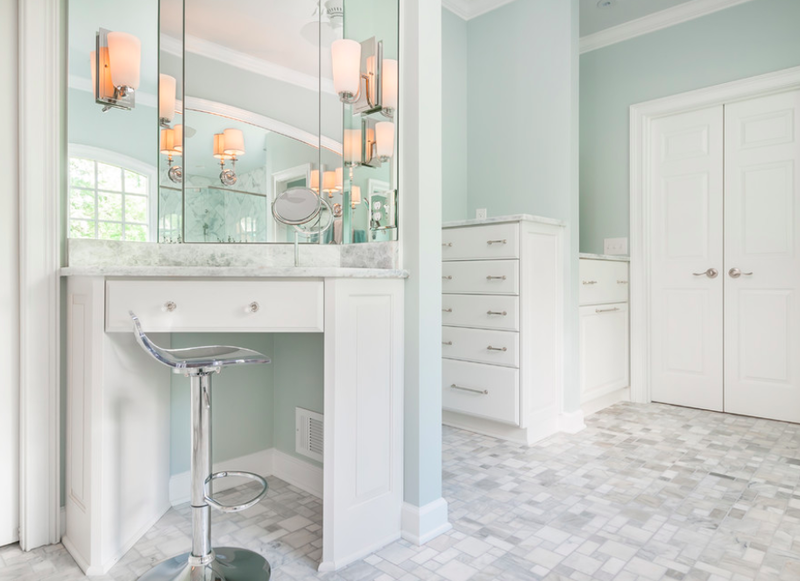 Storage was maximized by using built-in custom cabinetry for the vanity, makeup vanity, chest of drawers, and hamper. The original, outdated stucco, red roof, and tiny front entry porch have been replaced with board and batten siding and beautiful stone. 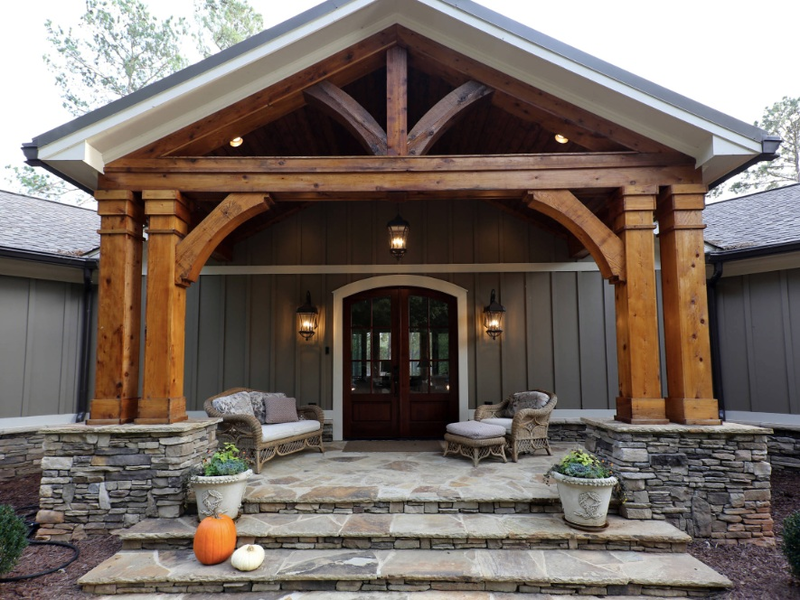 The new front porch with a timber frame construction works together with these new elements to create a welcoming lake lodge home.